Meniscal tears are a common sports injury, and can vary widely in severity and pain. Meniscal tears are a particularly common injury among athletes playing contact sports, or any sport that involves twisting of the knee. Meniscal tears frequently occur alongside other knee injuries—most frequently along with an ACL, or anterior cruciate ligament, tear. The meniscus is a rubbery, flexible piece of cartilage that provides cushioning between the bones in the knee. The medial meniscus, which is located on the inside of the knee, is shaped like a C.
The lateral meniscus, located on the outer side of the knee, is shaped like a U. Together, the meniscus functions to reduce shock and absorb the amount of impact on the leg and knee when in motion or standing, to provide stability to the knee, and to facilitate smooth motion between the surfaces of the knee. Each meniscus is like a flat disc of cartilage inside the knee, and it is in addition to the sheet of articular cartilage that coats the end of the thigh bone (femur) and shin bone (tibia) as they meet the knee. If a meniscus is damaged and does not function correctly, then more force is placed on the articular cartilage, which in turn makes it more likely to break down over time, a condition known as knee osteoarthritis. Most commonly, meniscal tears are caused by some sort of traumatic injury or sports injury. An unnatural over rotation of the leg can cause the cartilage of either of the menisci to tear either fully or partially. 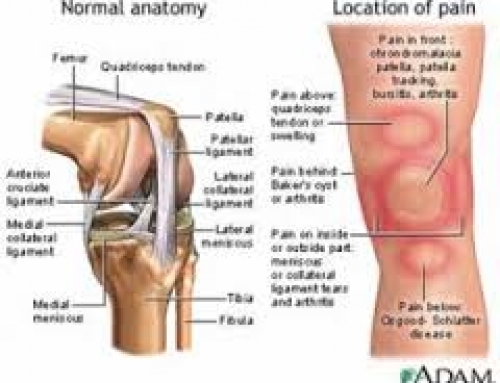 Impact on the side or front of the knee, causing the knee joint to move to the side, can result in a tear of either menisci and occasionally the anterior cruciate ligament (ACL), as well. An athlete might experience this when diving onto a basketball court for a loose ball or getting tackled in a football game. Over rotation of the knee due to planting or cutting on the leg too aggressively can cause a tear in either of the menisci. This type of pivoting is common in sports such as soccer, basketball, and football. Rapid stepping or squatting on an uneven surface can cause disproportionate force on the knees, leading to tears or ruptures of the meniscus. This movement might occur while trail running in cross country, running football drills, or falling awkwardly in lacrosse. Unexpected, quick force can lead the knee joint to flex too far back and tear the meniscus. For example, colliding with the leg of another basketball player while coming down from a rebound might cause this. The symptoms of a meniscal tear will depend largely on the specific individual as well as the location(s) and extent of the damage to the menisci. Localized pain near the area of the tear. In tears of the lateral meniscus, this discomfort will be present along the outside edge of the knee. 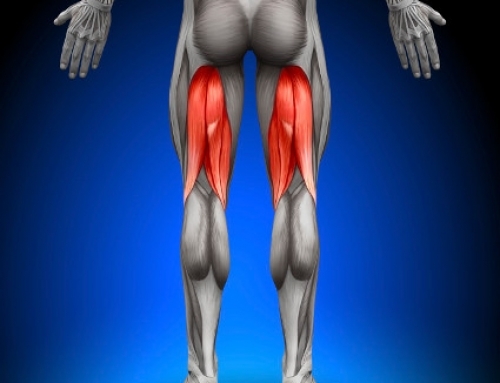 Pain will manifest on the inside edge of the injured knee for tears of the medial meniscus. Immediate pain after the injury. A torn meniscus will often be obvious from the moment that the injury occurs. In these instances, the tearing of the meniscus is typically accompanied by the feeling of a pop or snap within the leg during an overexerting twisting or stretching motion. Slow onset of symptoms. Conversely, for some, the meniscus can tear without much of a sign or initial pain. This slow onset of symptoms is more common in older individuals and those with damaged knee cartilage from osteoarthritis. Pain with movement. 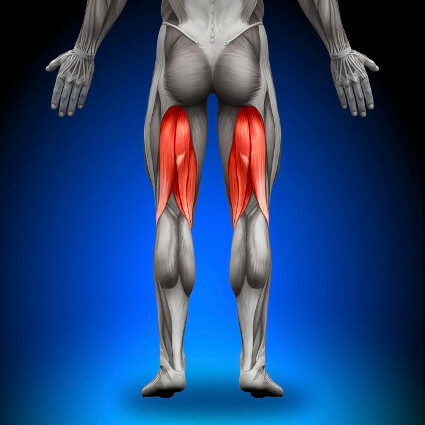 The pain will reflect the location of the tear but extend throughout the knee with movement. In the event that the knee has locked, bending it will cause searing pain to worsen. Pain after resting. Pain will likely diminish somewhat with rest; however, it will return with movement in most cases. Movement may also exacerbate swelling. Knee locking. If a piece of the meniscus breaks free of the disc structure due to a tear, it may lodge within the joint of the knee itself. This lodging can cause knee locking, in which a person loses the ability to fully straighten the leg when sitting or standing. Is Your Knee Pain Caused by Jumper’s Knee?